a lawyer should keep abreast of changes in the law and its practice, including the benefits and risks associated with relevant technology . . .
Commencing this Fall 2018, Pace Law Library has initiated the Brown Bag Tech Series. These Tech Series began earlier this semester and are ongoing. They are conducted by Errol Adams, Electronic Services/Reference Librarian & Adjunct Professor of Law. 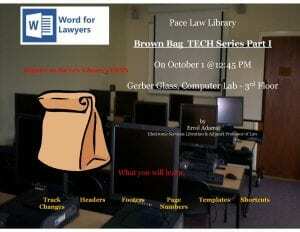 They focus on the lawyer’s practical use of Microsoft Office applications, primarily Word, Excel and PowerPoint. 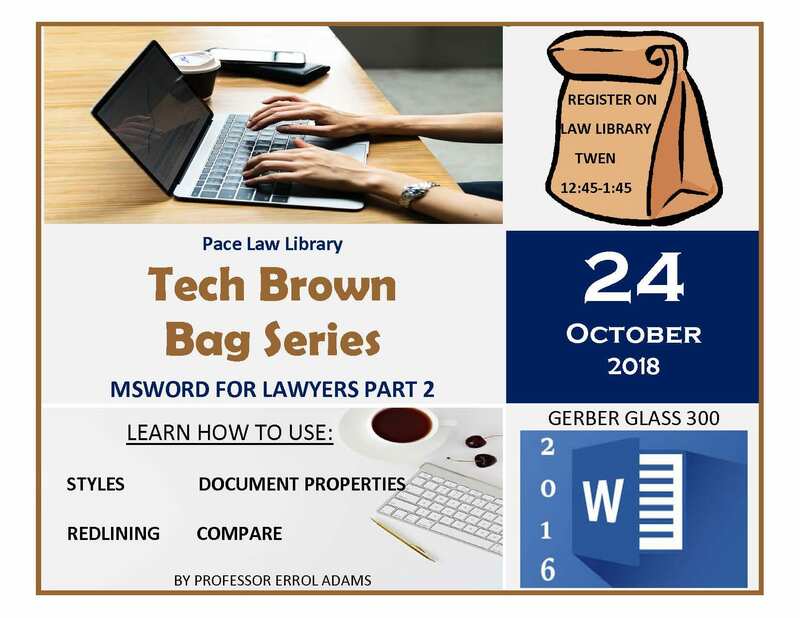 There have been two sessions thus far that have focused on the use of MS Word and included a discussion of styles and creating a table of contents (TOC) and table of authorities (TOA). 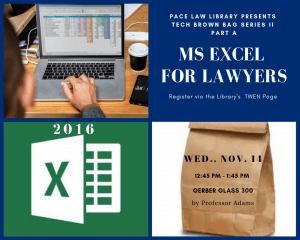 These presentations last for about one hour and focus on the location of various options of MS Office tools while providing you with select resources to learn at your own pace. The presentation slides include links to useful resources and are distributed to attendees. The last Tech Brown Bag Series of the semester covers MS Excel, and will be held tomorrow, Wednesday, November 14, at 12:45 PM in G300, the computer lab on the 3d floor of Gerber Glass. 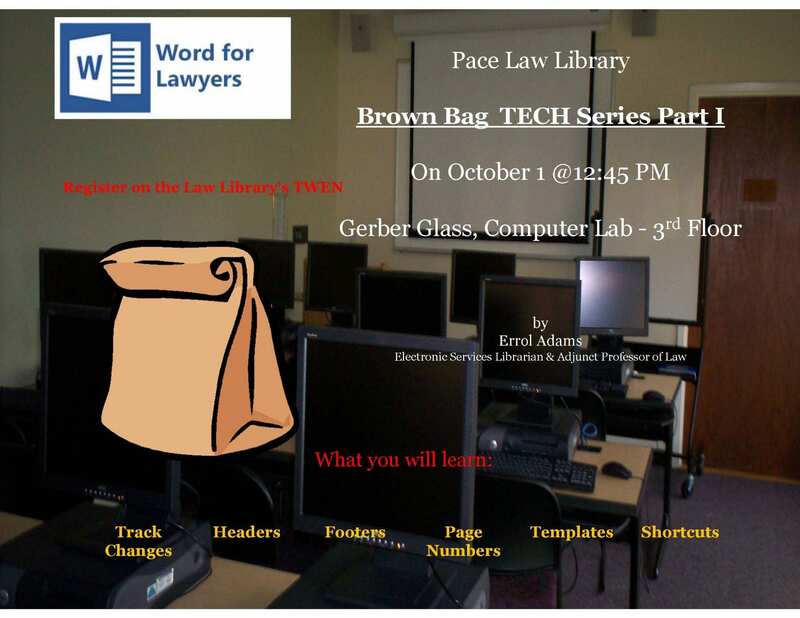 You may register for this and any future Brown Bag Tech Series on the Library’s TWEN page.